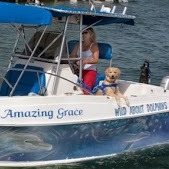 How Can I Go WILD about DOLPHINS-Captain Sheri's? Where is WILD about DOLPHINS-Captain Sheri's in Stock Island on the Map? The dolphin watching part of the tour was nice but the snorkeling didn't go so well. People interested in this tour should bring their own snorkeling gear as Wild about Dolphins' snorkeling equipment is inadequate. The snorkeling flippers I received were way too large for me, so that each time I kicked the flipper would rub against the top of my toes. After a while my skin rubbed off and even now a week later I'm missing skin on the top of my toes. This threw a wrench into the rest of my vacation as I had trouble walking and it was no longer possible for me to go to the beach. Also the snorkeling tube I received had no dry guard or purge valve so it was really easy to accidentally get sea water in the snorkel tube. There were also prescription snorkel masks available. I should have figured it out sooner but they were labelled incorrectly with + being labelled as - and vice versa, so I ended up getting a mask that worked against my vision rather than help it. Fantastic day with Sheri and Mia (sp?). We really had a perfect day, literally!! The water was warm and a beautiful emerald green. We saw so many dolphins, snorkeled, had lunch, listened to music.....it was just terrific! The only thing I wish I had done different was re-apply my sunscreen after my first dip in the water! Sheri took the time to answer questions about the mangroves, took the boat over that way, spent time telling us about the dolphins and sea life. It was great. We shared this day with two other couples - one newly wed couple, and another celebrating their anniversary, which is exactly what we were doing!! Fun! :o) Do NOT miss this excursion with Sheri and Mia if you are in Key West. Absolutely worth the money. Today the owner of the boat took my wife and two small boys, 5 and 7 on a great tour. 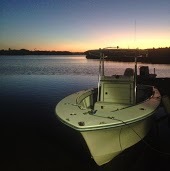 Sheri is extremely knowledgeable of where to find dolphins, gave great education, and very service oriented. She was very assurant of our safety and freshly made a light lunch to cap off the day. The boat is somewhat small so I recommend doing the full 1/2 day booking where you have the whole boat. Great trip and would recommend to anyone! I am almost completely uncomfortable in the water, and yet Sheri made my experience feel like I was in bliss with the water. From the music she plays to the intimate setting shows me that I am not just a number to her. There was no pressure to do anything and no pressure to not take advantage of everything. The sites she took us too, the things that we saw and the attitude made it much better than the big guys around town who perhaps harass the dolphins in hopes of living up to their guests standards. With her, it was much more balanced with nature. It was the way it should be.